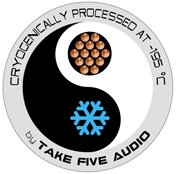 Neutrik 3.5 mm Stereo Mini Plug, Deep Cryo Treated, 1 pc. The NeutrikNYS231BGMini plug features a full metal body and Gold plated plug. This plug has a precision fit and finish. Cable opening in back shell is 4.6mm but may be drilled out to 7mm. Outside diameter of shell is 9mm.